This species is accepted, and its native range is Indo-China to S. China, Taiwan. Aglaomorpha fortunei (Kunze ex Mett.) Hovenkamp & S.Linds. Drynaria fortunei (Kunze ex Mett.) J.Sm. 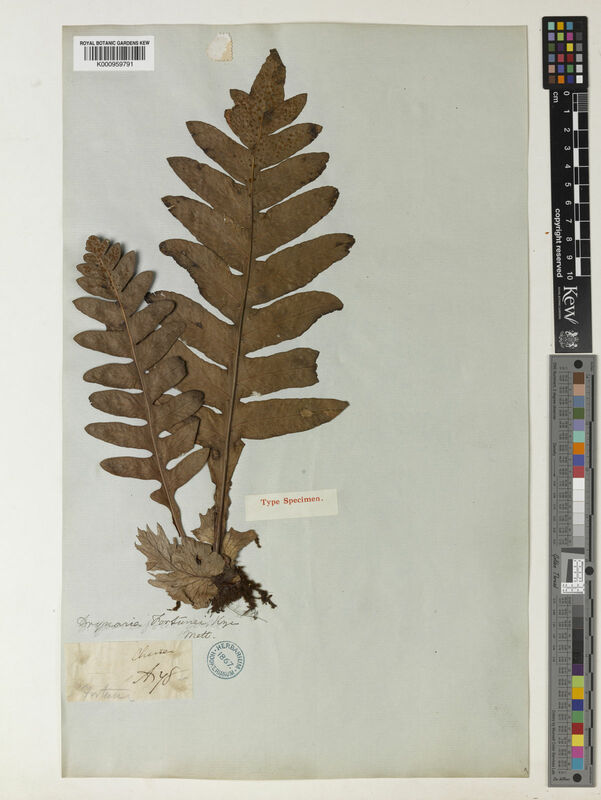 Polypodium fortunei Kunze ex Mett.